Welcome to Kansas. Known too often as the place “we’re not anymore, Toto” Kansas is more than the sepia image portrayed at the beginning of The Wizard of Oz. It is a state full of people who love where they live and the people who live nearby. Nearby can be 20 miles away, but the folks on the next farm are neighbors in both word and deed. Kansans are like that. Kansas entered the Union in 1861 when the slavery issue was at its rolling boil. When the government opened the Kansas Territory with the Kansas-Nebraska Settlement Act, abolitionists and pro-slavery advocates raced in to try and win the day. Eventually, the anti-slavery folks prevailed and Kansas was admitted free. To the surprise of no one, Kansas is a rural state. It is the 15th largest in size, but the 16th smallest by population. It is bordered on the north by Nebraska and on the west by Colorado. Missouri is on the east and Oklahoma is down south. No “six miles of the northeast is bordered by…” stuff. Square and straightforward…like the jaws of Kansans. Topeka is the capital of Kansas, and Wichita is the largest city. 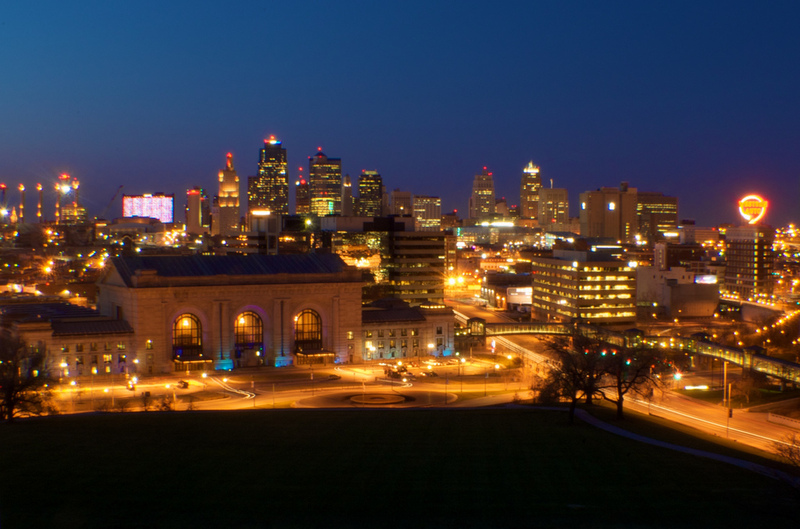 Those two are joined by Overland Park, Kansas City, and Olathe as cities with a population of over 100,000. Kansas’ low place is 679 feet above sea level at the Verdigris River, on the Oklahoma border. The highest point is on 4,041 foot Mt. Sunflower, just steps from the Colorado border. With that kind of elevation change, one might think there is a mountain involved. One would be wrong. Kansas gradually increases in altitude from east to west. “Mt. Sunflower” is indistinguishable from its surrounding, at least in terms of altitude. The geographic center of Kansas is found nearest Barton County’s Claflin, but Kansas has another geographic center worth noting. Lebanon, KS is the geographic center of the contiguous United States. That seems like a place we should go, doesn’t it? Most of Kansas is located in the Central Time Zone. The four westernmost counties (Hamilton, Greeley, Wallace, and Sherman) are in the Mountain Time Zone. The entire state recognizes Daylight Savings Time. Garden City Regional serves the needs of about 25,000 passengers a year. Dallas is the favorite destination. Wichita Dwight D. Eisenhower National greets about 750,000 flyers a year. Dallas is the most common destination. Military/Politics: Clark Clifford, Bob Dole, and Carl Hatch. Actors: Roscoe “Fatty” Arbuckle, Kirstie Alley, Harold Lloyd. Scott Foley, Vivian Vance, Dennis Hopper, Jackie Frazey, Emily Wickersham, Hattie McDaniel, Kendall Schmidt, Trai Byers, Charles Buddy Rogers, Buster Keaton, Colton Haynes, Zasu Pitts, Ed Asner, James Reynolds, Kevin Schmidt, and Eric Stonestreet. Entertainers: Joe Walsh, William Inge, Martina McBride, Jeff Probst, Patrick Breeding, Du-Shaunt Stegall, Kelly Breeding, Grace VanderWaal, Janel Monae, Emmett Kelly, Stan Kenton, Bryan Breeding, and Gordon Parks. Writers: Clarence D. Batchelor, Gwendolyn Brooks, Charles Inge, Edgar Lee Masters, Damon Runyan, and William Stafford. Athletes: Barry Sanders, Jordy Nelson, Baron Corbin, Sean Malto, Bobby Lashley, and Walter Johnson. A ball of twine in Cawker City measures over 38′ in circumference, weighs more than 16,750 pounds and is still growing. With our apologies to Chicago, Dodge City is the windiest city in the United States. At one time, Kansas state law prohibited the serving of ice cream on cherry pie. The first woman mayor in the United States was Susan Madora Salter. She was elected to office in Argonia in 1887. Wyatt Earp, Wild Bill Hickok, and Bat Masterson were three legendary lawmen who kept the peace in rowdy frontier towns like Abilene, Dodge City, Ellsworth, Wichita, and Hays. Handel’s Messiah has been presented in Lindsborgeach at Easter since 1889. Kansas wheat farmers produce enough wheat to make 33 billion loaves of bread, or enough to provide each person on earth with six loaves. The original Pizza Hut is in Wichita. Get up! We’re going to see the sights, hear the sounds, and smell the fragrances of Kansas. On the way, we will pay homage to the old west. We will also visit one of the quirky kinds of places that give The Greatest Road Trip Ever Taken its personality. We’ll cover 490 miles, west to east. Let’s do this! We’re starting in the place that said, “Hello, Kitty” long before the stuffed animals that carry the name today. Dodge City is home to the Long Branch saloon and Matt Dillon of “Gunsmoke” fame. We find out the truth of Dodge City is much more interesting than what is portrayed on a fictional TV western. Dodge City was founded in 1872 and quickly became the world’s largest shipping point for longhorn cattle. Dodge was the wildest of the early frontier towns, and some of its history is found at the Boot Hill Museum. The folks who run the museum are dedicated to the preservation of the history of Dodge City and the old west. The Boot Hill Museum is more than just one single building. It’s a spot on re-creation of an authentic western street. We’ll stroll the boardwalk (wooden, of course) and visit the shops and saloons of Dodge, circa 1880. Later, we will see a re-enactment of one of the many gunfights that took place in this town. We will stay at the Best Western North Edge Inn for $81 a night. It will give us a head start on tomorrow. Have you ever wanted to feel like you are in the center of it all? Welcome to Lebanon, Kansas and the geographic center of the Lower 48. The location of the contiguous U.S. center is pinpointed by a historical marker. There’s an American flag and a small chapel located in a little park setting. We’ll go inside the chapel put our name and address on the register, and take a seat. We will take a moment to get in touch with our spiritual side and ponder what this trip has meant to us. Back in the car, we will reconnect with Interstate-70. A trip across the state of Kansas reveals a lot about Kansans and their sense of pride in where they call home. Man, do they love their astronauts? Only three astronauts, representing eight space missions, have come from Kansas, but billboards in their honor are prominently displayed on the Interstate. The spacemen so revered are Commander Joseph Henry Engle, Mission Specialist Steven Hawley, and Captain Ronald Evans. Captain Evans was a part of Apollo 17 and orbited the moon during NASA’s last foray there. The Greatest Road Trip honors his memory (he passed away at the age of 56), and the courage shown by all of the members of the space program. Let’s go see some trucks! Oh, you say you see plenty of trucks on the freeway crossing Kansas. Well, maybe, but you haven’t seen Truckhenge! Located in Topeka, Truckhenge is an eclectic combo of a farm, salvage, and recycled art. There’s also a nature sanctuary! The work of one man, Truckhenge is six antique trucks jutting out of the ground, reminiscent of Stonehenge in Great Britain. Surrounding the trucks are other recycled art pieces and a variety of native plants. Earlier in our trip, we visited Carhenge in Alliance, Nebraska. Now…here we are. It all says something about the midwest. What it says, we will leave up to you, but it is sure interesting. We’ll spend the night at the Clubhouse Inn and Suites in Topeka. At $93, it’s a pretty good buy for quality lodging. Back on the road, 61 miles from Topeka, we find ourselves in Kansas City, Kansas. Our first stop is in Lewis & Clark Historic Park at Kaw Point. William Clark, Meriwether Lewis, and the Corps of Discovery put a mark on the western half of the United States, and not just on a small part of the west. They marked the whole thing! We have stopped at a few L & C places on our trip, and we went to The Turnaround in Seaside, Oregon where the trip ended. Here, in Kansas City, we will see where they camped and walk where they walked. There is a little trail with signage telling this part of their story. Let’s get wet! At the Schlitterbahn Waterpark, we will ride a lazy river, go down a few water slides and let the kids work off some energy. While relaxing by the pool (that’s our kind of water park) we find ourselves pondering Kansas. It is a state that embraces the quirky while embodying the tried and true American spirit and the American dream. In some ways, that’s what this trip is all about, and we can’t thank you enough for taking it with us.